Do you lack confidence? If you do it’s not because you were born that way. Everyone is born supremely confident but along the way life’s knocks chip away at your self- esteem and the end result can be that you fear certain situations. Often you can’t even remember the incidents which led you to become full of self doubt, all you know is its difficult, or nigh on impossible to be in social situations, to make a presentation at work or to make decisions in case you get it wrong. If you find yourself scared of new situations, of being in the company of new people or you find it extremely crippling to answer peoples questions or stand up in front of others and speak, it’s time you made an appointment to change the way your feel. 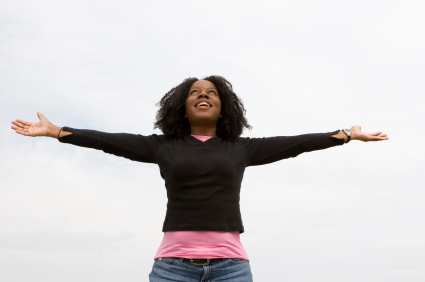 Hypnotherapy and/or EFT have shown amazing results in boosting people’s confidence. I myself was terrified of public speaking after an incident in Sunday school at the age of 8 years old and now I am a confident public speaker due to using my own unique blend of Metaphysics and EFT on myself. Low confidence is all in the mind, and that’s exactly what will be dealt with during sessions. She find out what causes of lack of confidence and you will be given the tools to improve your confidence levels in any given situation. Imagine if you could be around people and speak to them with confidence. Imagine how good it would be if others noticed and commented on the new and confident you. Wouldn’t it be great if people could see the real confident you instead of the fearful person you are now? If you would like that to become a reality go ahead and book a private consultation and prepare to be amazed just how quickly you will see the benefits! I offer a free initial 30 minute session where we can discuss your problem and you can decide whether you would like to work with me. Give me a ring to arrange an appointment. Here’s what Colin O. had to say about his sessions with Christine…………. Here’s what Steffi L had to say about her sessions with Christine…………. “I had severe confidence issues when I first went to see Christine Wesson. I felt comfortable with her and she was very easy to talk to. She taught me to stop and think when I found myself putting me down and to analise whether things were really worth torturing myself over and a lot of the time I found that they weren’t. One of the main things which sticks in my head form my sessions with Christine is that she told me to visualise myself as a young child and to, when I found myself putting myself down, imagine that I was actually talking to the child in me that way. This really made me think, I now have a daughter of my own and would hate to think that herself or anyone else would say the nasty things to her which I was potentially saying to myself. I just wanted to convey my thanks and let you know that following my interview and horrid presentation; that I was successful in my application for a promotion at work. In addition I received really positive feedback at how well in conducted myself and how my confidence shone, something I would never have expected.